As of today our website FTPEditor.com has been completely redesigned and rebuilt. The previous design has been in place since FTPEditor was launched back in 1999 and since then only minor changes where made. We added a – then-called – news section some years ago based on WordPress. With the new layout we also got rid of some overhead. 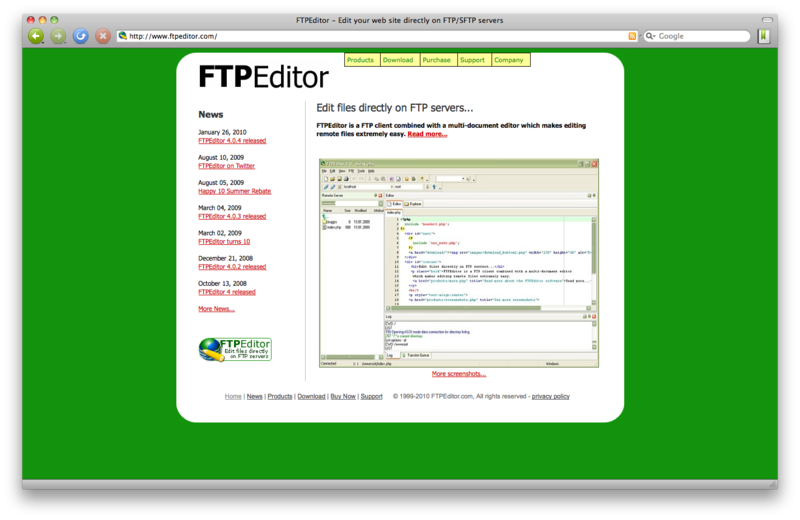 The new site has fewer pages and needs less click to get to the relevant places – for example to download FTPEditor. Please let us know how you like the new design.